This Marginal Learning Gain is probably one of the purest as it really is tiny…but with big effect. Frequently, quality learning and thinking opportunities are missed when students’ misconceptions are overlooked or not recognised. The drive to ‘get things covered’ can often very understandably be overwhelming but with this, we may find that we miss some fabulous opportunities for our learners to delve deeper, address frequently occurring misconceptions or simply enhance the feedback we get from learners that can directly inform our immediate next (teaching) steps. One way to establish an environment where you can really use an Error-Seeking mindset is to design opportunities to regularly model ‘great mistakes’ where you invite students to explore what we actually mean by a ‘mistake’ in the first place. 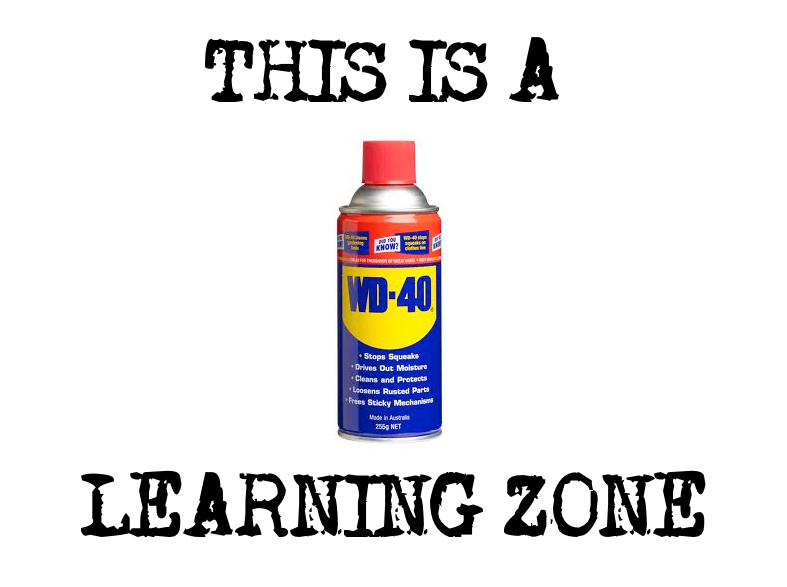 My favourite example of this is captured in what I have, for years, referred to as the ‘WD-40’ approach to learning. ALSO check out HINGE QUESTIONS as a route to ERROR SEEKING from @Learningspy. This entry was posted in Agency. Bookmark the permalink. Hi Zoe – great reading. Thank you, David. I’ll add that as a link. Many thanks for taking the time to read and comment.